Colombia is located at the northern tip of South America. It has a fantastic and varied terrain comprising of beautiful beaches, rainforests, deserts, mountain ranges (including the Andes), wide canyons and highland plains. The fertile soils support the many coffee, cocoa and banana plantations, this country is famous for. The environment is rich in flora and fauna, boasts a huge population of bird species and wildlife, and is therefore perfect for exploring on horseback. Colombia has a long-standing affinity with the horse as part of both its culture and history. Horse parades and festivals are common throughout the country. The proud nation also have their own indigenous breed: the flamboyant, smooth gaited Colombian Criollo. 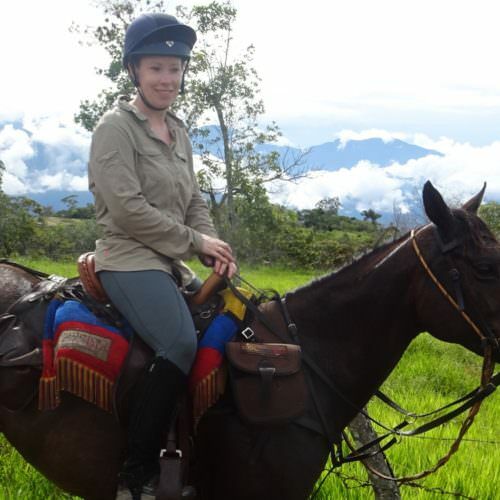 Colombia is an ideal choice for adventurous riders looking for a unique equestrian and cultural experience.